Dublin is the capital of the Republic of Ireland, located on the mouth of the river Liffey, on the east coast of the country. Dublin is popular as the city brimming and breathing in history, as most of its structures and buildings are remnants from the 12th and 13th centuries. Some of the popular landmarks in Dublin are the Dublin Castle and the St Patrick’s Cathedral, the latter of which was made back in 1191. When staying in this historically lively city, you should go for a luxury five star hotel that is equidistant to all of the popular landmarks, while also embodying the spirit of the city it lives in. The Marker is a luxury hotel located in the Docklands district of the city, and really stands out from the crowd owing to its services, the quality of the restaurants, and the fact that it features some of the most astonishing designs and architecture in all of Dublin. The hotel features a checkerboard facade, and the swimming pool area looks like it’s positively swimming in emerald greens and turquoise. Every facet of the hotel complements each other wonderfully, and all the rooms are steeped in a cool color palette, with focus on shades of powder blues and cobalt. The bathrooms are also luxurious with complementary Malin+Goetz toiletries. 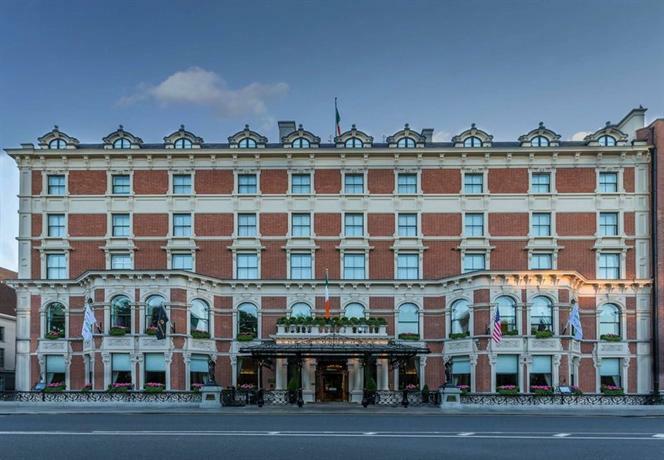 One of the greatest attractions of the Merrion hotel is that it’s located right opposite to the Government Buildings, and is walking distance from Merrion Square, the National Gallery and National Museum. These are all some of the prime tourist attractions of the city, and they're all close to the hotel. If you want to go shopping, Grafton Street shopping district is quite close as well. This is a boutique luxury hotel which actually used to be four completely separate townhouses in downtown Dublin. As such, the architecture of the hotel is pure Georgian-styled elegance and charm. The luxury hotel also features three separate restaurants, all of them charming in their own respective ways. Of the three, Patrick Guilbaud is the only Michelin-starred restaurant. Besides the restaurant, the hotel is also famous for its No. 23 cocktail bar, a spot to which all the elite of the city flock regularly. The rooms are decorated in a bright color palette of whites and pastel shades. The Garden Wing of the hotel, at the rear, has a quadrangle of fountains and lush manicured greenery, and is a great place for you to while away your time if you want to simply relax and take a break from exploring the city. Besides the lovely interiors and amenities, the hotel also features flawless service from the staff. Perhaps the greatest advantage of staying at this five star luxury hotel is how well connected it is to all the important sights and locations of Dublin. It’s located in the very heart of the city, Central Dublin, and is very close to prime attractions such as Westbury Mall, the Trinity College campus, and Grafton Street’s Pubs. You can take a lovely stroll in the morning over to the lush sights offered by St Stephen’s Green. The hotel seems quite like a business hotel with its sleek and efficient layout with white marbles and wood panels, however it is made a little more cosy and personable with the presence of some locally made Irish carpets and linen. The rooms and suites of the hotel feature neutral shades and hues, along with heated marbled bathroom floors, and complementary WiFi connections. The best suite in the hotel, the Presidential Hotel, is a true luxury with private concierge services, private spa, and swimming pool. The rooms also feature plenty of natural light streaming in through the floor-to-ceiling windows. And in case you want to sleep in for the day, there are large black silk curtains that can completely block out the sun for you. Some guests have complained about the fact that the lower rooms can be a little noisy, which is perhaps a by-product of the hotel being so well-connected. 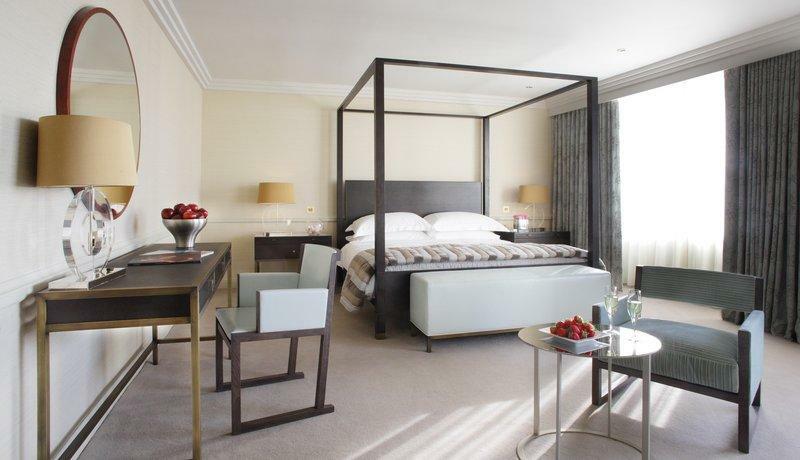 The InterContinental is a boutique luxury hotel known for its flawless and effortlessly efficient service. 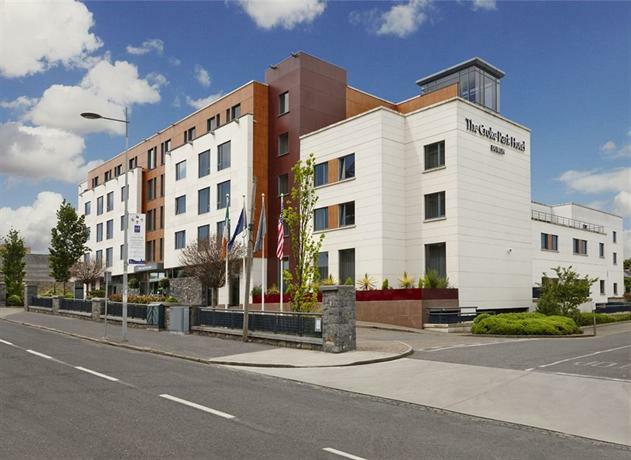 Located further down south at Ballsbridge, this hotel isn’t particularly well connected to the rest of the city and all the prime attractions of the city. As such, this is ideal for those who favor a quieter and more leisurely lifestyle. The hotel itself has enough amenities in it so that you never really need to leave the hotel as you have access to the restaurants, reading rooms, spas, and swimming pools. However, because it’s located within the embassy belt of the city, you can walk over to some chic restaurants, parks, and even bars, and rest assured that you won’t find yourself in a really crowded location. If you love the sea, you can walk over to it within 15 minutes. The interiors of this luxury hotel are appropriately grand with luxurious intricate carpets, twinkling chandelier, charming floral displays, and some modern artwork and sculptures as well. The hotel features around 200 rooms over all, and these accommodations are available in a lot of different sizes. 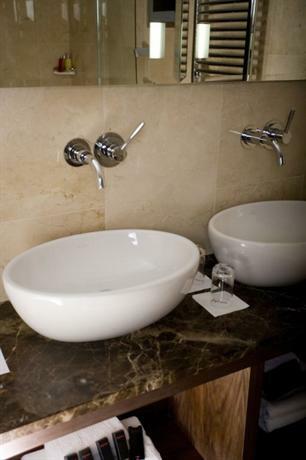 The bathrooms are all marble clad, and all the rooms have their own Nespresso machines. If you take a room higher up you can also wake up every morning to a stunning sweeping view of the city and its sea and mountainous neighbors. The suites also feature their very own balconies. The Westin is yet another superbly connected and located luxury hotel. It stretches out along a complete block of Central Dublin, and is within walking distance of such attractions as Trinity College, the Parliament house, and Dublin’s primary lounge and entertainment area — the Temple Bar. The neighborhood is replete with a lot of great cultural hotspots, such as art galleries, museums, and even charming cafes and restaurants. The general decor of the hotel is tastefully opulent with intricate markings on the walls and ceilings, and the lobby ceilings are decked with Waterford chandeliers. 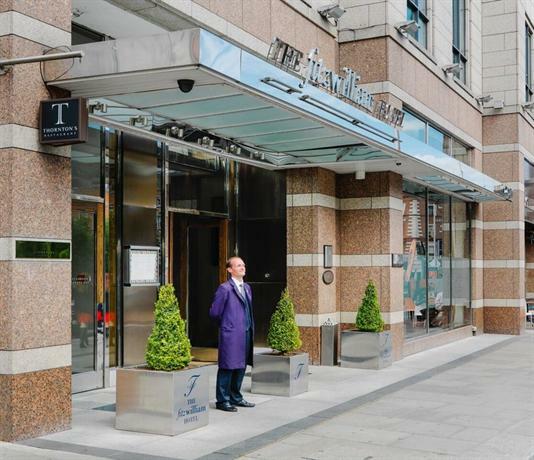 The Fitzwilliam is a luxury five star hotel that’s located in Downtown Dublin and as such is very well connected to the rest of the city and other prime attractions such as the National Gallery of Ireland and St. Patrick’s Cathedral. The neighborhood is lively with lots of boutique shops and cafes. You even get a view of the lovely adjoining park and everything that lies beyond. Because of the prime location, few visitors ever find themselves in need of public transportation, however there’s plenty of taxis available should you need them. The interiors of the hotel and the rooms favor a loud color palette with an abundance of purples, greens, and other similarly loud shades. The rooms also look out into the lush greens offered by the St Stephen’s Green. Guests of the hotel also get access to the spa, swimming pool, gym, and the various fine-dining restaurants. This boutique hotel has 139 rooms, but despite its large scale it manages to maintain a charming and cosy personality with the presence of some fireplaces, and common areas wherein you can interact with other guests. 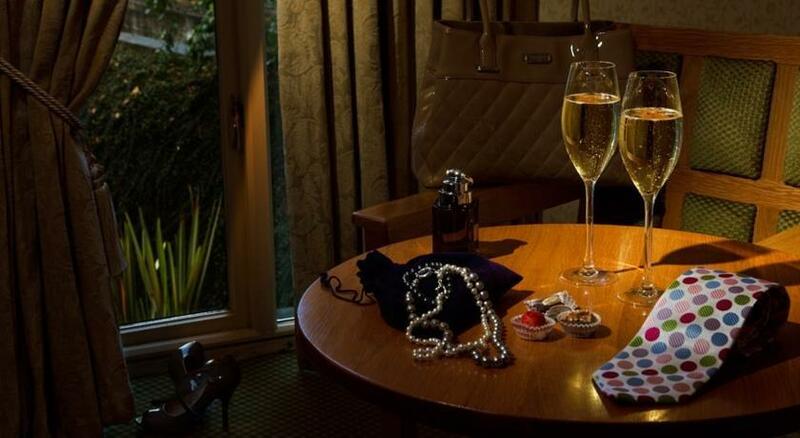 The hotel tries to maintain an intimate and dignified vibe, and as such it doesn't cater to weddings, and has only a few conference rooms, so that the guests feel free to roam around the common areas as they please. 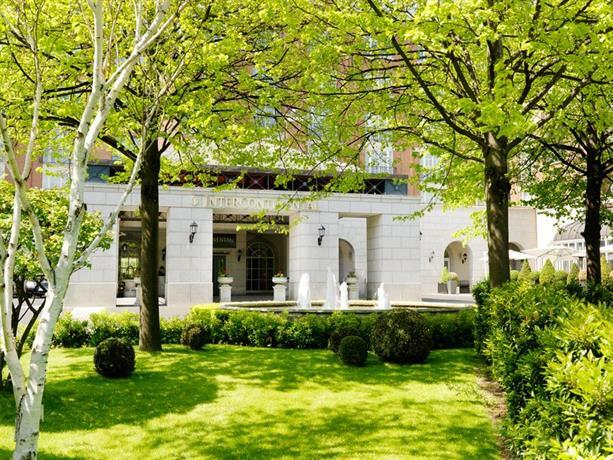 What makes this luxury hotel so great is the fact that it’s located in a quiet alley off the main street, while still being within walking distance of the Grand Canal and Baggot Street with all of its charming boutique restaurants, pubs, and cafes. You can even walk over to St Stephen’s Green within 10 minutes. The aesthetic of the hotel is decidedly heavy and extravagant with leather padded walls, a lot of silver and chrome paneling and gilt mirrors all around. The bathrooms are all sleek and have their own Mark Buxton toiletries. If you check into one of the more superior rooms, you’ll even be greeted with some local Beleek pottery gracing your rooms. The Shelbourne Dublin is a boutique luxury hotel that you’re bound to love if you have a certain taste for history and culture. Perhaps one of the biggest selling points of this hotel in the world of Literature and Art is the fact that it was mentioned by name in James Joyce’s seminal post-modernist work of literature Ulysses. Furthermore, the halls of the hotel resonate with centuries of history as the halls of the hotel were once used to sign the Irish Constitution when it was first drafted. The interiors of the hotel are plush and luxurious. It might be an expensive hotel to get for the night but it’s completely worth it. You should also know that it’s the favored hotel amongst celebrated personalities from all walks of life, so keep an eye out, you might just stumble into an icon while you’re in the hotel. 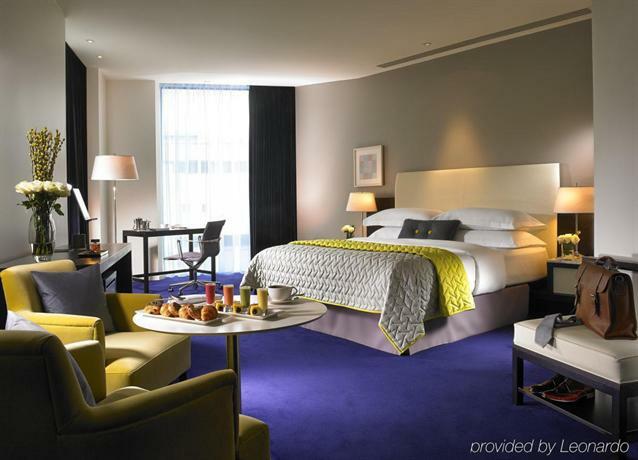 The Radisson Blu is an excellently located luxury hotel well within walking distance of Terminal 1 and Terminal 2. You can easily be transported to the center of the city on a Dublin Bus 16. The lobby of the hotel is sleek, classy, and remarkably glossy, and the favored color palette is a mix of cream and purple shades. Unlike most chain hotels, the Radisson Blu is able to maintain a distinctive vibe which makes it feel wholly unique and individual. The hotel naturally features sound proofing to keep the sound of the flights at bay. This luxury boutique hotel is in perhaps one of the most enviable locations in all of Dublin. It’s located right across from the famous attraction of Croke Park itself, and as such it has pride of place in the home of the Gaelic sport. The Croke Park Hotel draws its majesty from the sheer stature of Croke Park itself, which has the ability to seat 80,000 people, and as such is one of the largest stadiums in Europe. The hotel is also well located within walking distance of the Croke Park museum, and guests can even take the stadium tours to make their stay truly worthwhile. The interiors of the luxury hotel are all modern with luxurious bathrooms and access to amenities like gym and spa. The Morrison is a centrally located luxury five star hotel. However, unlike some other centrally located hotels, The Morrison doesn’t have any noise pollution because it’s separated from the more bustling Temple Bar by the river Liffey. 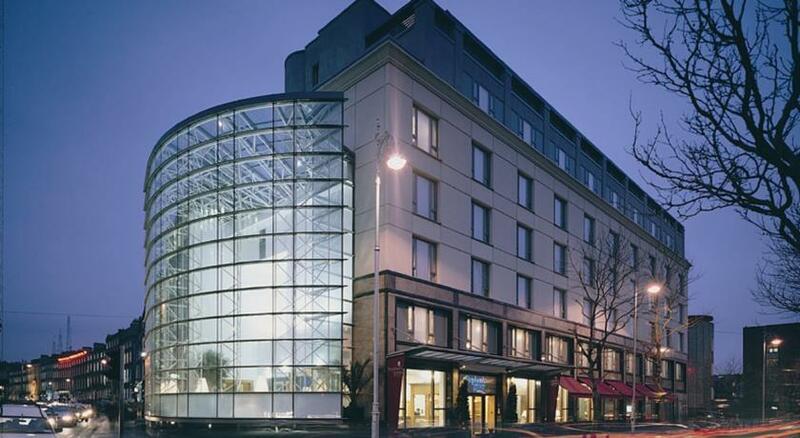 The hotel is close to the LUAS tram line, and as such you can be well connected to the rest of Dublin. The aesthetic sense of the hotel is considerably chic, modern, and ostentatious with a lot of pristine white walls, all-leather aesthetics, and a spattering of purple and turquoise hues. The hotel also features sound-proof walls so that you aren’t bothered by the sound of Dublin’s nightlife, which is yet another prime attraction of the hotel. Brooks is a very central boutique hotel located in one of Dublin’s most hip localities Druid Street, a great place if you want to go shopping or if you want to hang at some of the boutique cafes and pubs. This is a relatively quiet street with little traffic so you shouldn’t have any noise complaints either. 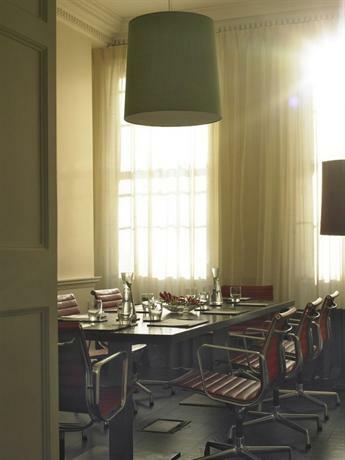 The general aesthetic of the hotel favors subtle class and luxury, nothing very ostentatious. This is also a great hotel if you’re looking to make friends with other tourists as well. 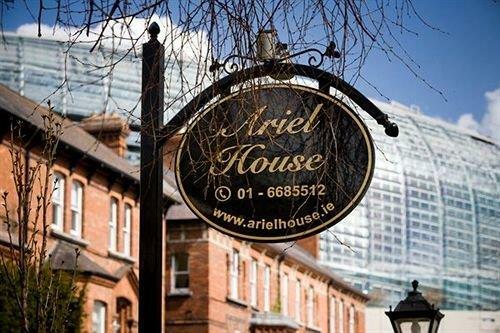 While the Ariel House isn’t located in the midst of all the tourist spots, it’s very close to Lansdowne Road DART station so you have easy access to the city center. If you’re looking for a good park, you can walk over to Herbert Park which is quite close. The common areas of the hotel are really charming and snug with plush sofas and a grand piano as well, which makes the entire setting feel classy but subtle and graceful. The rooms in the hotel have been designed in a Victorian style, whereas the ones in the Garden wing have been designed in a lovely modern and minimalist style. 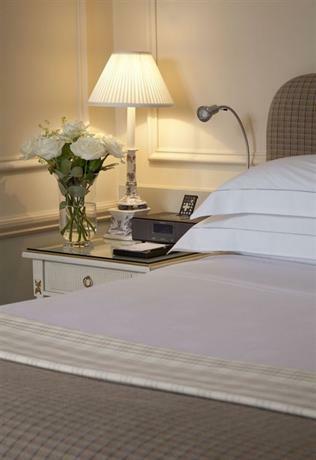 This charming hotel is just 10 minutes from Merrion Square by feet. It’s situated on the Grand Canal itself and thus the location couldn’t be more convenient. The interiors of the hotel feature high-vaulted ceilings with wooden stairways and even some open fires. This makes this boutique hotel feel wonderfully cosy. There are also some artistic wallpapers in the rooms which gives the hotel a sense of eccentricity and personality. There are 31 rooms over all, and they all have their little individual quirks and qualities that makes this a thoroughly pleasant hotel to stay at. 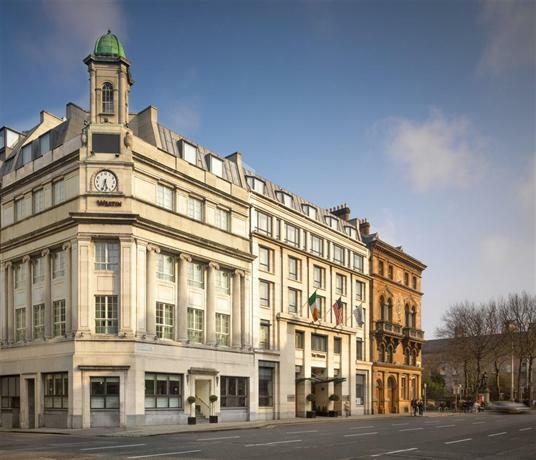 This trendy hotel is very well received for its lovely location, just a five minute walk from Grafton Street and its charming shops and stores. It’s also a short walk from St Stephen's Green and the Iveagh Gardens, and if you want to travel to the rest of the city, you have LUAS tram line running right past the hotel. The hotel has been designed with a very clear modern leaning, and it features a lovely glass atrium which brings plenty of sunlight into the hotel so that it always feels bright and pleasant. The hotel also features a Georgian Library with a great collection of books available to guests of the hotel only. If you’d like to eat in the hotel itself, you could go to the Pie Dish main restaurant, which features a lovely bright ambience juxtaposed with a more dark and intimate one.